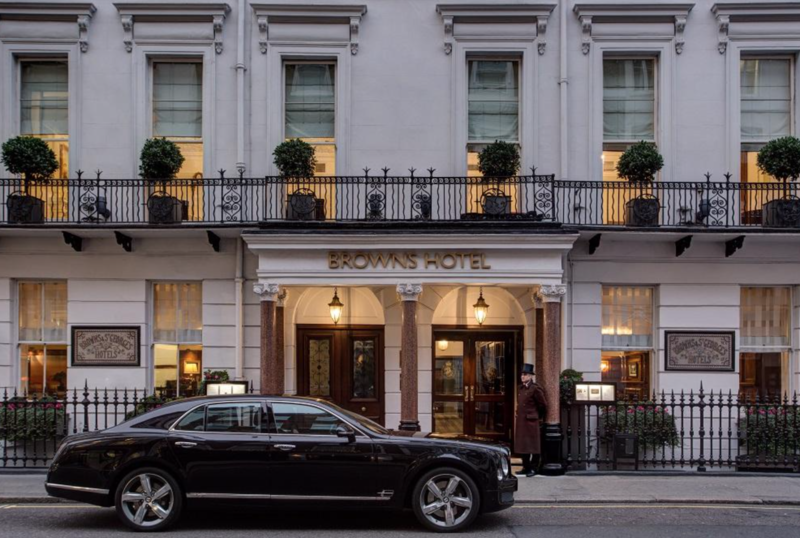 Nestled amidst London's Mayfair borough, the Rocco Forte Brown's Hotel is an ideal base for travelers seeking to explore the fashion houses of Bond Street, the world's top art districts, and five Royal Parks, all of which are steps from the hotel. Since opening on Albemarle Street in 1837, the iconic hotel has welcomed royals, presidents, and distinguished guests from around the world. Guests of the hotel can revel in the property's history, dine on award-winning cuisine, unwind at the spa, or have a nightcap at the Donovan Bar. Continue reading below the photo for a Stay 3, Pay 2 Promotion and exclusive Five Star Alliance Perk. For a limited time, the property is offering a Stay 3, Pay 2 Promotion. The Stay 3, Pay 2 Promotion is valid for travel through April 30, 2019. Guests booking three nights in an Executive Room or above will pay for two nights. In addition, the Stay 3, Pay 2 Promotion also includes exclusive Five Star Alliance Perks: Guests making reservations with Five Star Alliance, other than for a "Classic" room category, receive continental breakfast for two daily, and a 75 GBP Hotel Credit per room/per stay, and welcome card from the General Manager.